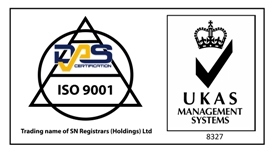 Cogent SSC have officially announced the gold standard for RPs. Talking of this development, Mark Birse, Group Manager GMDP Inspections at MHRA commented “Responsible Persons play a vital part in ensuring the quality and the integrity of medicinal products are maintained throughout the distribution chain. It’s essential that they have the right knowledge, demonstrate competence and deploy the right skills so that patients and healthcare professionals have the confidence and trust to use medicines. Do you work to a gold standard? Do you really need to? It can vary on your operation, as some models are inherently low risk, but at Paradigm we recommend aiming for excellence… because if you miss, you’ll still be ahead of many of the competition. We are keen to see the exact costs and time required to achieve a gold standard, and give our opinion, but as it stands we are all for higher quality standards. Do you need refresher training? The EU Guidance dictates that RPs need regular training. Contact us to register for a training session. Take a look at our updated blog on training, including our different offerings… everyone should be competent and confident in their duties, and YOU are responsible as RPs, licence holders and managers to resource your business properly.